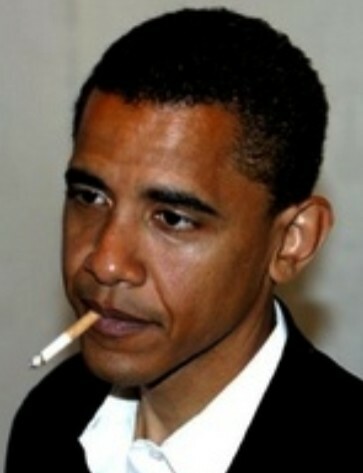 I don't know if President Obama is smoking cigarettes again, but given the dismal performance he has turned in as president so far, I wouldn't be surprised. But before I get to his performance as president, let me give you a little background on how the president views career performance as it relates to education. President Obama is a big proponent in "accountability." As president, he has championed education reforms that "hold teachers and schools accountable," that use hard data (i.e., test scores and graduation rates) to evaluate which teachers and schools are effective and which aren't - or, in the phrasing of the current crop of education reformers, which teachers and schools are "adding value" to their students and which aren't. Those teachers who aren't deemed "effective" by a value-added evaluation system based upon test score and graduation rate data Obama wants fired. Doesn't matter if there are mitigating circumstances like poverty or social or emotional issues that make educating some students a difficult proposition - in Obama's view, either perform or move on. And if teachers won't move on themselves, then they will be fired and their firings will be cheered by Obama himself. So that's where the president stands on education and teachers and schools - he is squarely in the "No Excuses" camp of reform. Raise test scores or be fired. See graduation rates rise every year or be closed. No excuses for not "adding value" to students. Applying these same standards to the president's performance in the White House, I wonder if the president thinks he has "added value" to the country as president. Obama was elected while the United States was on the brink of a financial collapse brought about by the bursting of the housing bubble. The economy was in recession, investment banks were going out of business, there was a credit crisis on Wall Street as the markets seized up, millions of people across the country were facing foreclosure, and the unemployment rate was increasing at a rapid rate. The IMF at the time called the crisis the worst since the Great Depression. The unemployment rate at the time of the election was 6.8%. The Obama administration pushed for a $787 billion stimulus package in the early months after the inauguration, claiming that if the stimulus was enacted, unemployment would stay below 8%, the country would emerge from recession and the economy would recover a modicum of stability and growth. Well, the country did emerge from recession and the stimulus did help increase GDP for a brief time - but the key word here is "brief." WASHINGTON (MarketWatch) — A new government report on the nation’s output showed the economy in much weaker shape than anticipated, casting doubt on the strength of the expected recovery in the final six months of the year. Gross domestic product expanded at a paltry 1.3% annual rate in the second quarter, the Commerce Department said Friday, below the 1.6% growth rate that economists anticipated. But it was a drastic downward revision to first-quarter GDP growth that stole the show — and set economists on edge. The new data on the inflation- and seasonally-adjusted value of all goods and services produced in the United States showed the economy barely grew at all in the January-through-March quarter, rising just 0.4% as opposed to the initially reported 1.9% improvement. At the same time, the government said the recession proved to be deeper than initially projected. Congress might have to temper its zeal to slash government spending as part of any increase in the debt ceiling, he said. “It does raise some legitimate questions how quickly we can rein in government spending without doing more harm than good,” Vitner said. The GDP data may have been a game-changer at Wells Fargo, but it hasn't been a game-changer in Washington. Indeed, President Obama is still calling for a big debt deal that will cuts trillions of dollars in government spending and raise Social Security and Medicare eligibility rates while cutting benefits, moves guaranteed to decrease GDP growth even more in the coming months. Given the amount of dollars the federal government is going to have cut from expenditures and given the number of government layoffs happening at the state and city levels, I think we can safely say that the unemployment rate isn't going to improve anytime soon. In fact, it could get a lot worse - there are some indications that even as governments at the city, state and federal levels lay workers off, cut salaries and force unpaid furloughs onto employees, the private sector is beginning to cut the workforce too. What we have happening here is alarming - the economy is veering closer to recession once again, governments are cutting expenditures, consumers continue to cut back on spending because they don't have any money and the private sector is not only NOT hiring, they are beginning to shed jobs again. And what is President Obama - the Teacher Accountability President who lives by the value-added data and claims there are "No Excuses!" for failure in the public education system - doing about all of this failure in the economy? He plans to make things worse. He's trying to compromise with Tea Party Republicans to cut trillions more from the government and pushing to have Social Security and Medicare benefits cut and eligibility ages increase at a time when many unemployed or underemployed people really need these programs. He has cut hundreds of millions from food stamps so that he can put money into his signature pro-public school privatization Race to the Top policy at a time when many more people need food stamps. And he champions the Republican Party economic theme that the worst problem the country faces is its debt, that if the debt is cut the economy will improve both for the nation and for its citizens. The GDP estimates for second quarter are out, and they’re ugly. Basically, very weak growth for the first half of 2011 — indeed, growth well below the economy’s potential, so we’re actually losing ground in the effort to reduce the gap between what we should be producing and what we’re actually producing. This is a recipe for rising, not falling, unemployment. What’s causing the stagnation? A big factor is falling government spending: “government consumption and investment spending” has been falling sharply as the stimulus runs out and state and local governments slash. Anyone talking about fiscal austerity should know that in practice we’re already doing it, with the usual results. So given a stagnant economy suffering from falling government spending, what is all our political debate about? Spending cuts! After all, we have to appease those invisible bond vigilantes, who are suckering us in by cutting long-term rates to 2.87% as of right now. Obama has brought us stagnant (and now falling) GDP growth, unemployment much higher than that under George W. Bush (and much higher than he said would occur if his stimulus was passed), an unemployment rate that will increase in coming months as governments across the country cut spending and employees, trillions in austerity measures that will make the lives of many of the most vulnerable much worse even as he has extended the Bush tax cuts for the richest in the country, and, worst of all, is trying to do lasting damage to Social Security and Medicare that Bush could only dream about doing. While the president works to push these austerity measures through, he continues to spend trillions on three separate wars in Iraq, Afghanistan and Libya. I wonder if we stopped dropping "Freedom Bombs" on Libya and pulled out of Afghanistan and Iraq, there would be extra money in the budget for, you know, stuff here in America like infrastructure? Well, we'll never know because Emperor Obama intends to continue with his Endless Wars policy ad infinitum. By all value-added measures I can see that we can use to evaluate this president, he has been a miserable failure. After the president and the Congress come to some compromise on austerity measures this week, you can bet things are going to get financially worse for most Americans before they get better. If Obama was a teacher in Central Fall, Rhode Island with these kind of "value-added numbers," he'd call for himself to be fired. Instead, he's running for re-election. So much for Obama using "value-added accountability measures" on himself. I guess only teachers are really accountable for outcomes and data these days.